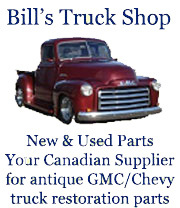 The Cape Breton Antique & Custom Car Club was formed in November 1979. The club has always been family oriented with members of all ages and many activities geared toward family involvement. Events run throughout the year and include such activities as club meetings, cruise events, vehicle displays, picnics, bowling, pot-luck socials, beach parties and other activities. Cruise nights are held weekly beginning in May and locations are rotated among the four major industrial areas: Sydney, Glace Bay, New Waterford and North Sydney. These events usually include a gathering of vehicles at a pre-determined location and participating members often frequent a coffee shop or restaurant afterwards. These outings are very enjoyable and promote comraderie amongst club members as well as provide an opportunity for the public to view our vehicles in the different areas on a weekly basis.